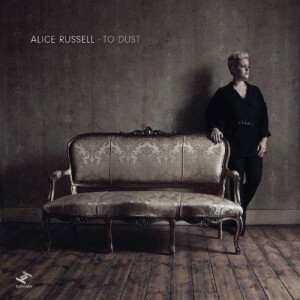 To Dust is the first effort from Alice Russell since 2008’s acclaimed Pot Of Gold which also spawned a remix double set. On her latest offering we see the British songstress further explore her amazingly powerful vocals. Released via Brighton-based label, Tru Thoughts, Russell again calls on her soulful yet delicate style to carry her work. Alice has recently guested on Talking Heads’ leader David Byrne’s solo LP, to add to collaborations with Mr Scruff, Quantic, DJ Yoda, Nostalgia 77 and lending her vocal stylings to the latest Fat Freddy’s Drop album. First single Heartbreaker, highlights the crisp production and eclectic influences that nestle alongside a love of vintage soul at the core of Alice Russell’s style. Russell’s versatility is showcased as she flutters over the punchy Prince-esque strut of Hard and Strong and then into the epic intensity of the title track. On heartstring tugging tracks such as I Loved You, Alice is never less than scintillating as she displays her trademark raw emotion. To Dust doesn’t outwardly resemble a record made out of necessity, unbearable heartbreak or tragic despair. That said, there are moments – not least the semi-manic bass-line descents within Let Go (Breakdown) – where you’re given a mainline connection into Russell’s mindset. Since the tragic yet seemingly inevitable demise of Amy Winehouse, British soul has been missing a star. Adele‘s kitchen sink realism approach to the genre has proved a populist round peg in a square hole in that regard. When To Dust takes flight, you don’t have to squint your ears too far to imagine Alice Russell as a worthy successor to that notional throne. Even if you suspect her leftfield-leaning tendencies might ultimately put paid to the possibility. You may also want to have a peek at these reviews: Freddie Joachim, The Weeknd, The Master.